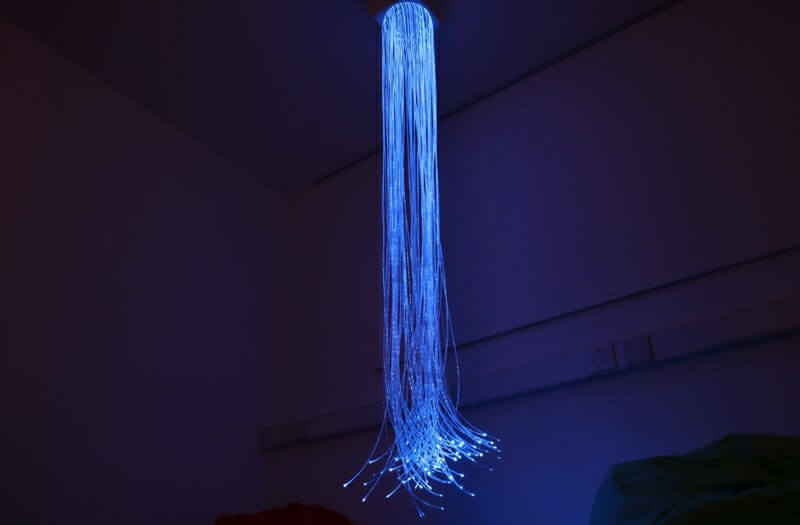 The Passive Fibre Optic Chandelier uses a cascade of strands that immerse the user in a calm sensory experience. 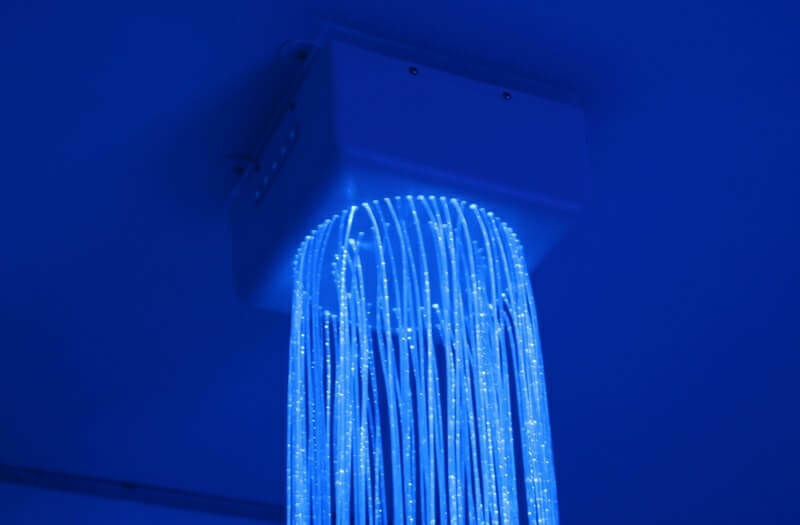 This ceiling mounted sensory product is placed above the user for them to interact. 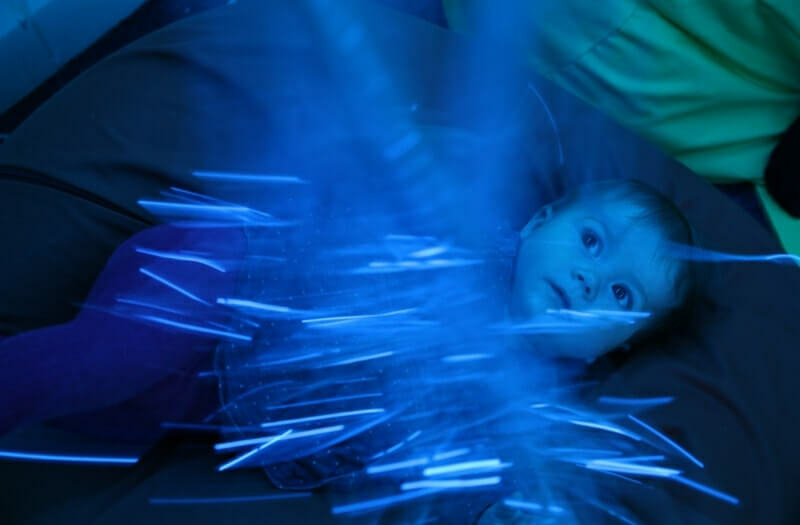 The user can use the Passive Fibre Optic Chandelier from all angles and get the benefit of sensory stimulation. 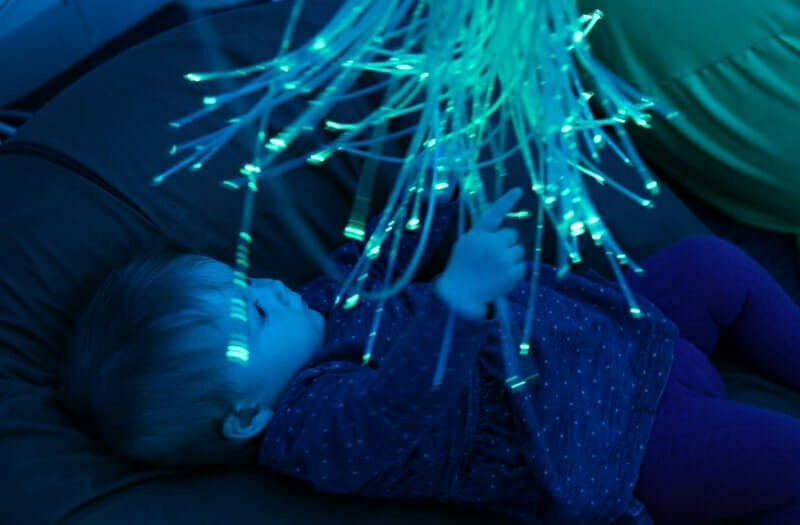 Simply use soft play or a bean bag underneath to add further relaxation and interaction. 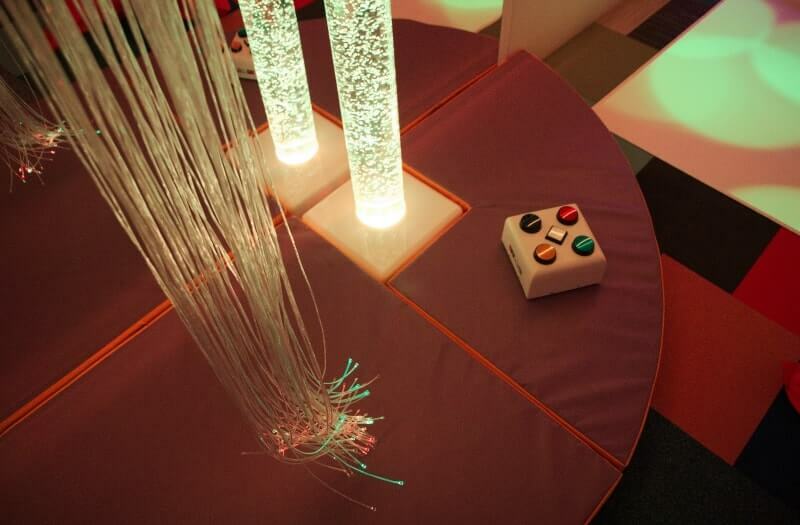 Passive mode cycles through different colours for a calming sensory experience. It is also ideal for wheelchair users to sit under and enjoy a sensory experience. 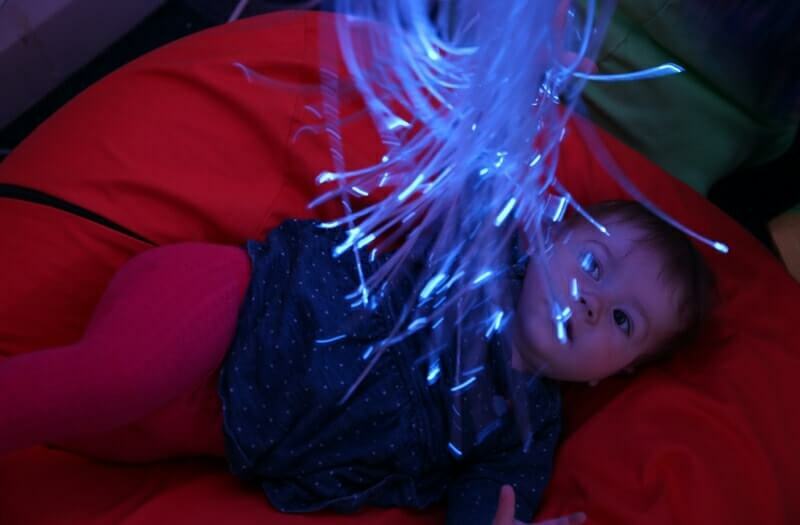 The Passive Fibre Optic Chandelier works great in sensory spaces as the strands cascade down from the chosen position. 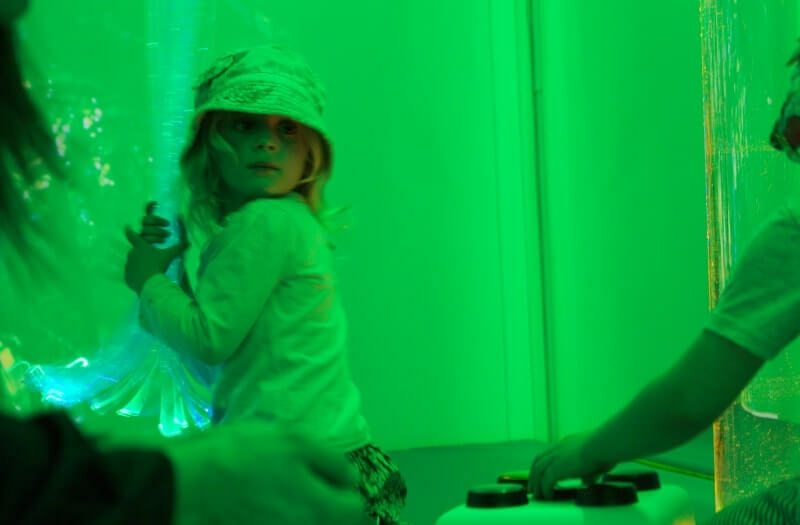 The user can then immerse themselves in light to feel relaxed and comfortable.